Because the demand for healthy food is becoming more widespread in society, it is essential to be able to meet the demands of end-users, not only for what concern finished products and ready to use, but also with a wide range of ingredients and semi-finished products that can to stimulate the creativity of their users so they can invent multiple combinations and delicious recipes. Pesto and Co. With this in mind offers a choice of gluten free, lactose free and vegan products for the confectionery with which you can pick and create exquisite desserts suitable for all dieticians needs without sacrificing taste. 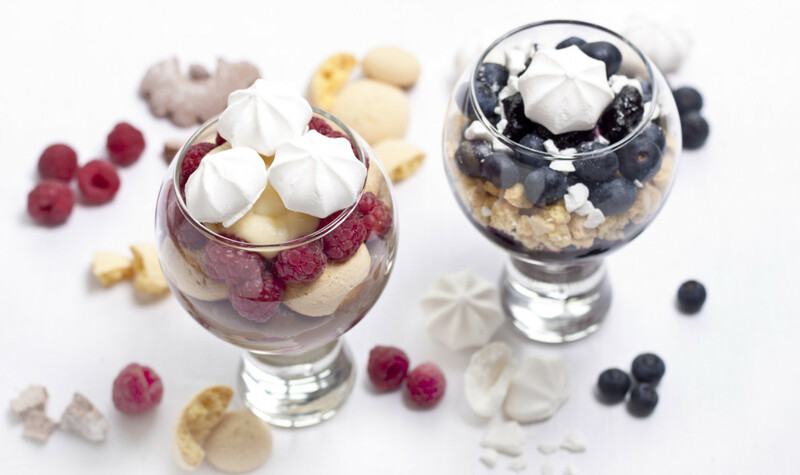 In addition to the gluten-free and lactose-free Savoiardi, the famous biscuits that have always been used for sweets in layers such as tiramisu, Mini Meringues and their various purposes, the Cocoa Mini Rings, which provide the crumble for bases and decorate the most of various desserts and creams, completely free from cross contamination from the very first step of the supply chain and certified by accredited laboratories, we also propose the pre-shaped sponge discs, ideal as bases for gluten free cakes.